Jerry is clearly the mouse, but I think Jon is the zombie, not a cat. Prepare to calculate the jump to hyperspace! 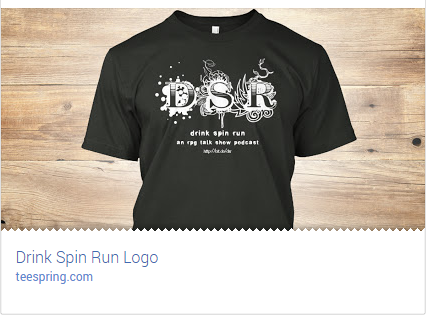 Buy a Drink Spin Run t shirt! Only $17 + s&h! Thanks for joining us for this tiny episode of Drink Spin Run. We'd love to read your comments on the show, suggestions, where exactly we can stick what and other thinly-veiled threats. Send us your thoughts at dsr@kickassistan.net. Once again, thanks for listening, you gorgeous listeners. Support the Drink Spin Run RPG talk show podcast! Not only do you get to demonstrate your allegiance for the "Drunk History" of RPG podcasts, but you also help us to get new equipment to make DSR even better! These t shirts will only be available until January 21st, so order yours... some time within the next 21 days. Anything left over will probably be used to buy some marketing materials; we've been thinking about vinyl stickers and coasters. The coasters seemed like a no-brainer. 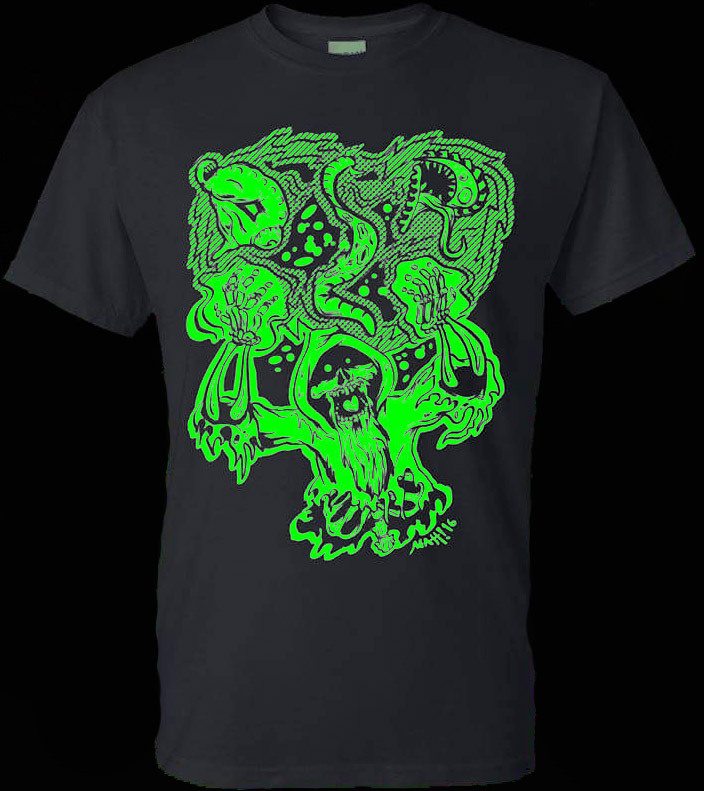 On a side note, it's pretty exciting for us that we've got this first bit of merch for sale. We'd like to thank everyone who's helped us get this far (which, if you haven't noticed, means you) and tell you how excited we are for all of the great opportunities we have to make 2015 an even greater year than 2014 was!